Before performing any troubleshooting of settings on the SR505/SR360 make sure that they have up to date firmware and installed configuration script. 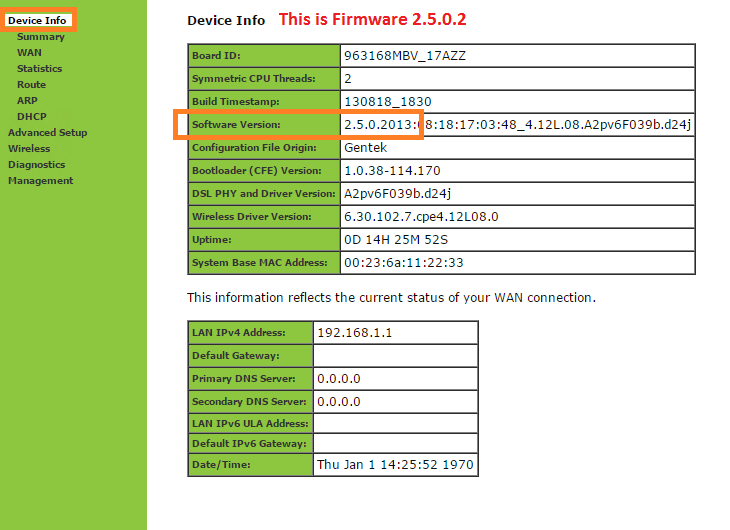 Check the firmware on the “Device Info” page. 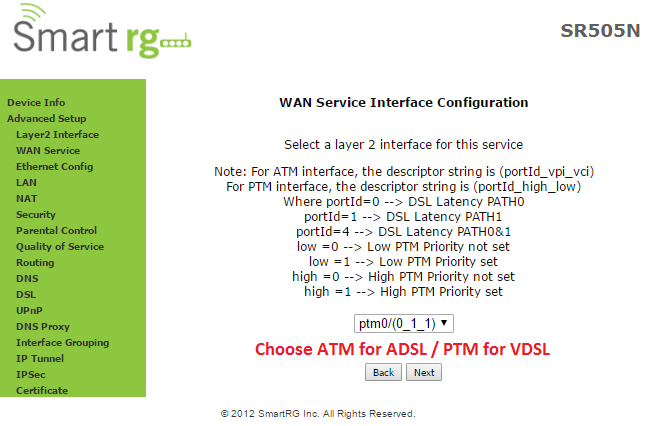 Even if you’re going to be configuring the modem as a bridge, get the PPPoE file as well. 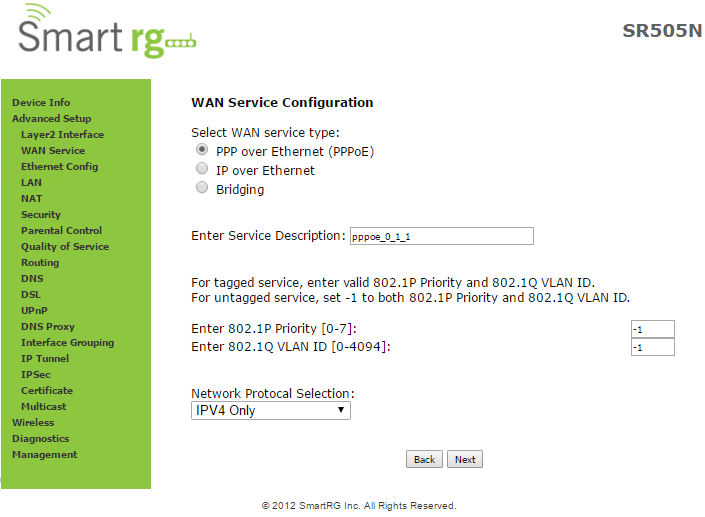 After the firmware update it’s recommended to use your ISP’s provided configuration if available. 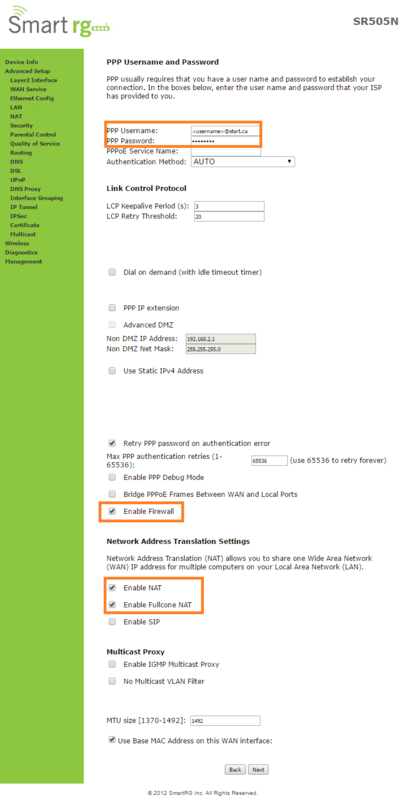 A ‘hybrid’ bridge mode can be achieved by adding a regular PPPoE setup and checking “Bridge PPPoE frames between WAN and local ports” in the WAN service. 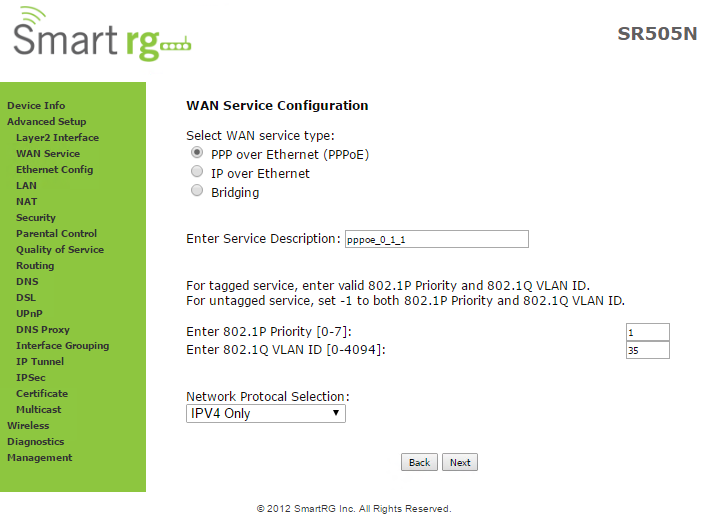 Bridge-only can be achieved by selecting “Bridging” as the WAN service. Watch for the Internet light to turn green. If this doesn’t work contact your ISP ask if they see your attempted authentication. If they do then you might have an incorrect username/password. 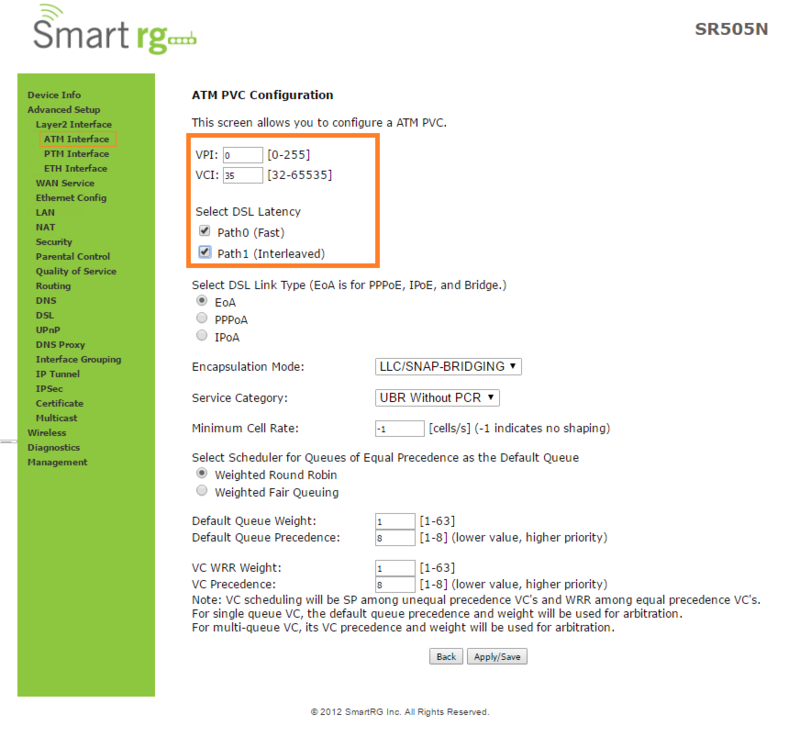 If no, then a physical connection problem or configuration error.